A comic sketch of the quick-drumming, hipster-lampooning, laugh-inducing SNL master impersonator. Funnyman Fred Armisen has been busy of late, and that’s just how he likes it. 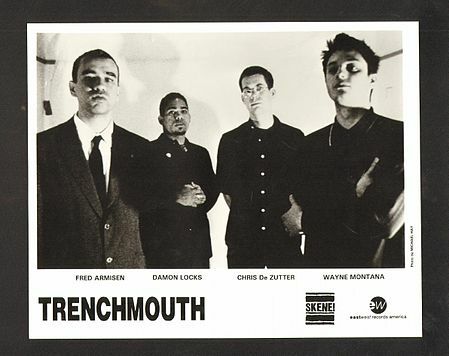 He no longer has Trenchmouth, his old punk band, to keep his hands occupied. But Saturday Night Live, where Armisen has long since established himself as the go-to guy for impersonations of everyone from Moammar Qaddafi to Thom Yorke to Queen Elizabeth, is in full swing. And starting this Friday, you can catch him in season two of IFC’s hit comedy series Portlandia, which he created along with his best friend and Portlandia co-star, the indie-rock goddess Carrie Brownstein. Given all the Brownstein profiles flooding the New York media recently, I figured I’d check in with ol’ Fred for a download. Likes: I really like watching TV at home. I like being alone and listening to music and, I don’t know, talking to Carrie. Viewing: American Horror Story, The Walking Dead. I actually just went on Netflix and watched some Elvis Costello shows. Reading: The New York Times and New York magazine and The New Yorker. Spin sometimes; it just depends on what’s around. Listening: I’m drawn to punk. I’m drawn to samba a bit. I don’t think there’s a type of music I’m not drawn to. Lykke Li I really like. Holy Sons I still can’t get enough of. And lately I’ve been listening to Harry Nilsson, who is from the ’60s and ’70s, but I only recently discovered him. I started freaking out about him; he’s got such a beautiful voice. Working: I can’t relax. I’m not happy unless I’m working on stuff. SNL is always a huge workload, as enjoyable as it is. Residual drumming frequency: All the time. Signs he might someday be on SNL: I was impersonating people way, way, way early, as far back as I can remember. And I would do people on my street for my parents, I remember. And in school, I did the same thing with all the teachers. It was just like, I mean, it was something I loved to do. I don’t think there was a time when I wasn’t doing it. I was always doing it. Easiest to ape: Uh, boy, let me think. Steve Jobs wasn’t difficult because I liked him so much. You feel maybe a little more familiar with them if you like them. Conversely, I don’t like doing impersonations of people I don’t like. Prior to doing an impersonation: I like looking at photographs. I think they say more than video or audio. Sometimes you look at a photo and you come up with the voice in your head—and it just kind of echoes. Role reversal: Bill Hader does a really good impression of me. He hasn’t done it on the show; he just does it for me in the hallway. It makes me really shy. I don’t know; sometimes I feel like I’m really shy. Regarding the term “hipster”: I understand that it’s used in publications to kind of describe a type of person, and that’s okay, but I don’t know if anyone’s a hipster, really. I mean, people have certain tastes. If the word “hip” means, like, cool or liking something ahead of the curve, it’s just like everyone’s not a hipster and everyone’s a little bit of a hipster. What a teenage Fred Armisen would think of him now: Oh, he’d be psyched. If I went back and I told him, “Oh my God, you won’t believe the people you’ve met, and you won’t believe the stuff you get to do and the places you get to go to,” it would really be beyond his dreams. Regrets: [In a cheesy red-carpet interview, asked what advice he’d give up-and-comers, Armisen responded that failure helps, and that they should wear nice clothes and smell good.] Wait, what did I say? Did I say smell good? Oh, my God! Makes him laugh: When I used to see Rick Moranis do something, to me that was immediately funny. Or George Carlin or Martin Lawrence. There have been concepts that have been animated that have no people in it that are incredibly funny, like The Simpsons or Family Guy or whatever. You can’t ever do the ingredients or the math as to why it works. It’s just like, come on! Lawrence is funny. That’s the end of it. For a taste of Portlandia, check out this trailer. That’s right, it’s a trailer for season one, not the new season. But since they mentioned Mother Jones, we couldn’t resist.